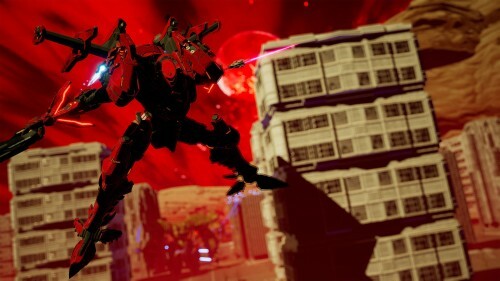 The development of DAEMON X MACHINA for Nintendo Switch is being led by Kenichiro Tsukuda, a well-known figure in the mech action game genre, who worked on the popular Armored Core series. 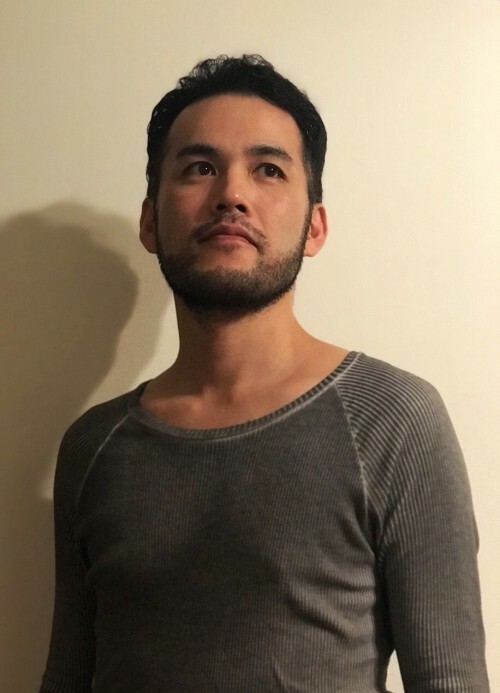 His work has also extended to lots of other games, including the Fate/EXTELLA series. 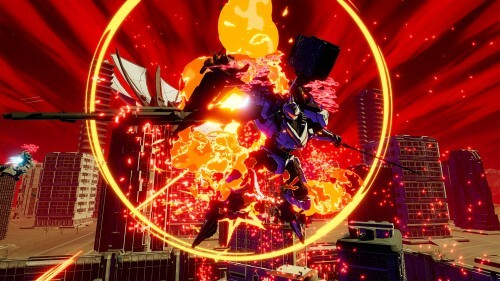 In this interview, Mr Tsukuda gives us a sneak peek into the development of the upcoming DAEMON X MACHINA, which is scheduled to launch in 2019. 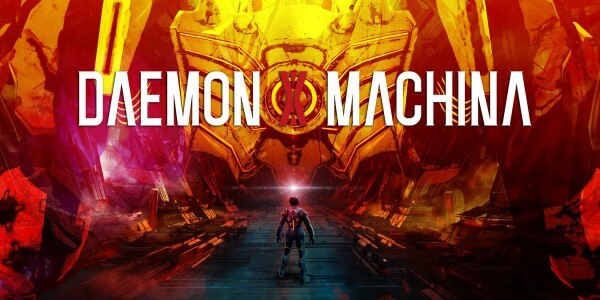 Could you tell us a bit more about what sort of game DAEMON X MACHINA is? 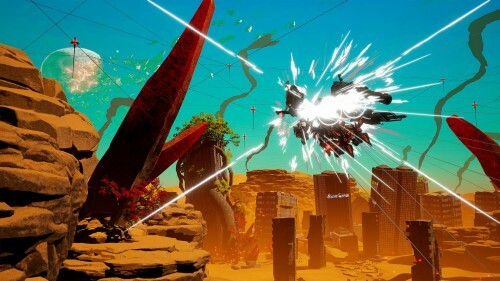 DAEMON X MACHINA is a fast-paced action game – you play as a pilot known as an Outer, and fight in battles using the Arsenal mechs you equip. 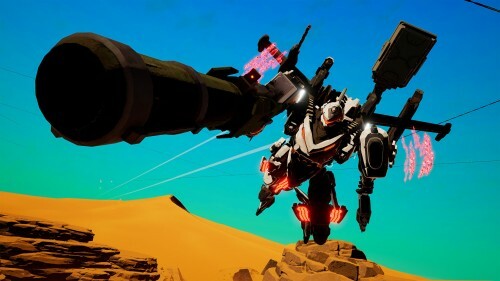 As an Outer, you’ll fight against enemies in lots of different missions, while customising the weapons of your Arsenal. 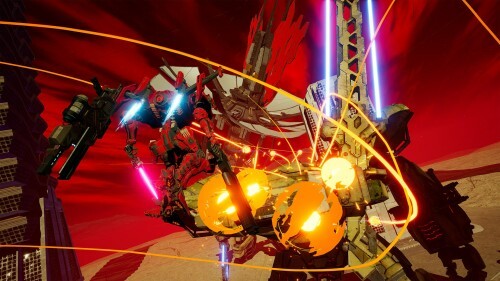 Because they’re mechs, you have complete control of them on land and in the air. 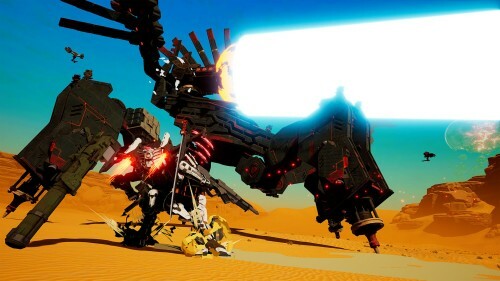 You can also obtain equipment from enemies in real-time, and then decide accordingly what sort of tactics would be best, and change your equipment on-the-fly. 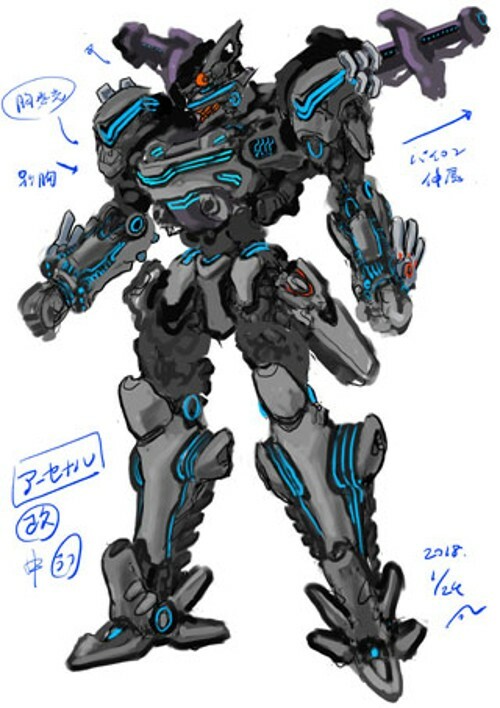 Mr Tsukuda, you have quite the pedigree in the mech action genre, having worked on titles such as the Armored Core series. 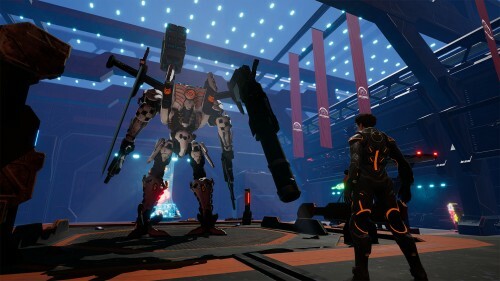 How are you looking to make this the best mech action game out there? What sort of story are you looking to tell in the game? The story is set after the moon has fallen and the world has changed. Your immediate enemy is AI (Artificial Intelligence). When the moon fell, mankind built walls called Ovals in order to limit the disaster. In order to rebuild, they made machinery and networks controlled by AI. 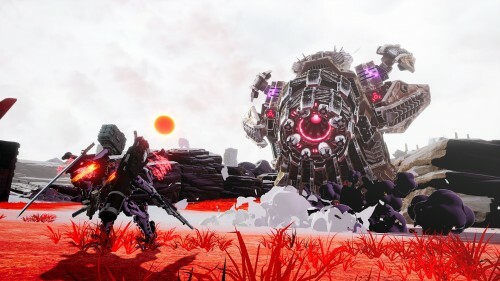 However, due to the power of energy particles called Femto that spread when the moon fell, the AI was mutated, and became an enemy of mankind called Arms of Immortal. Meanwhile, powerful individuals emerged, wanting to monopolise the power of this new Femto energy, and so planned to drive the evil AI out from the Ovals. Some humans, known as Outers, obtained special powers from the Femto. 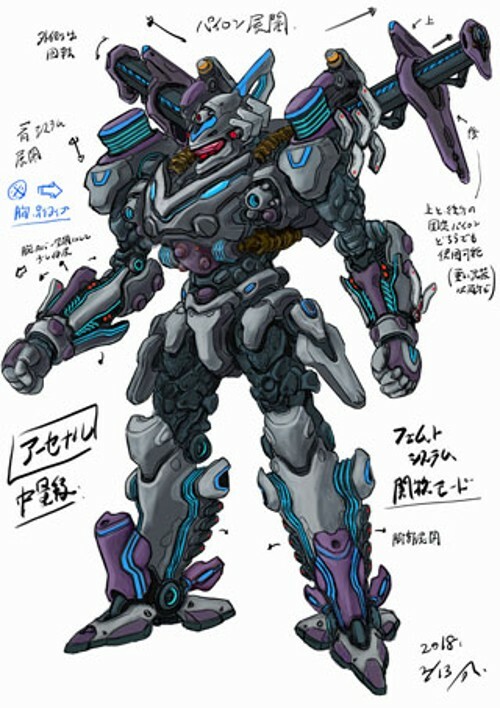 They’re hired as mercenaries by those powerful individuals and fight against the AI in Arsenals. 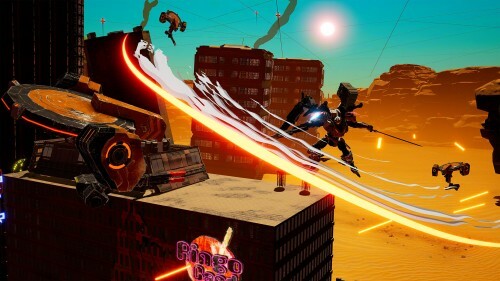 The player character is one of these mercenaries, and will uncover the mysteries of the world. 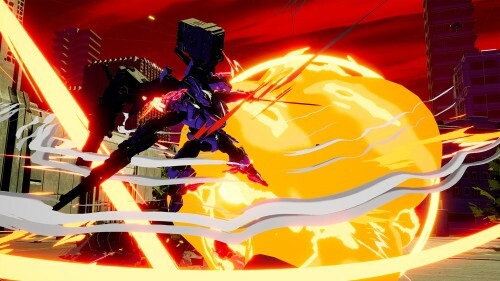 Speaking of which, the Arsenals in DAEMON X MACHINA seem to be fairly versatile machines. Could you tell us a bit more about what they can do? 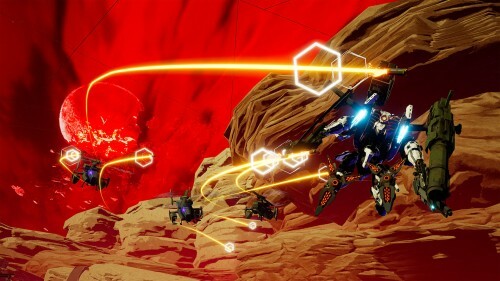 The mechs in the game move by tracing the movements of the Outer piloting them. 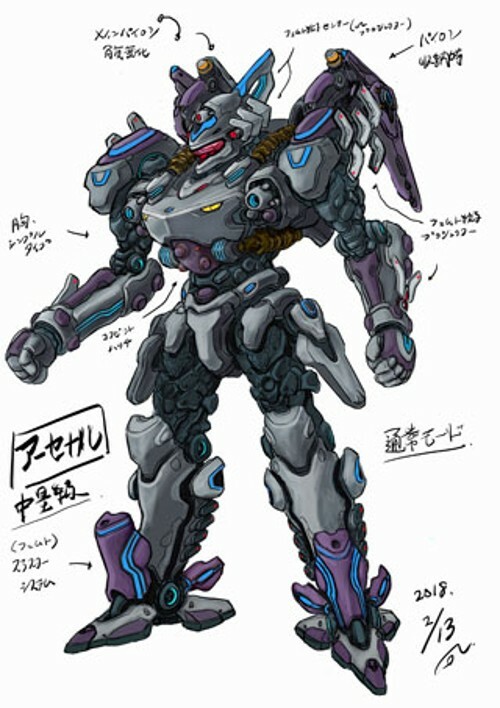 This means that the strength of a mech also depends on the physical abilities of the Outer. That’s a part of the game’s setting, but I also feel it’s important to consider gameplay equally as well. Fans of Fire Emblem: Awakening and Fire Emblem Fates might recognise Yusuke Kozaki’s name. He’s working on the character designs for this game, so we can probably expect to meet some interesting folk along the way, right? 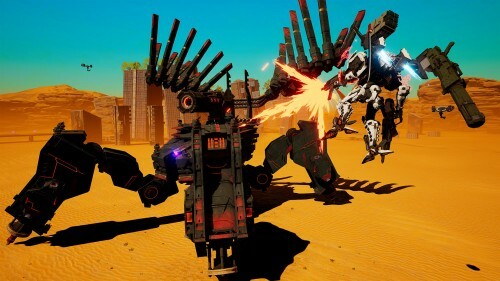 In the trailer from Nintendo Direct: E3 2018, we saw some seriously cool looking mech concepts which Mr Kawamori worked on. 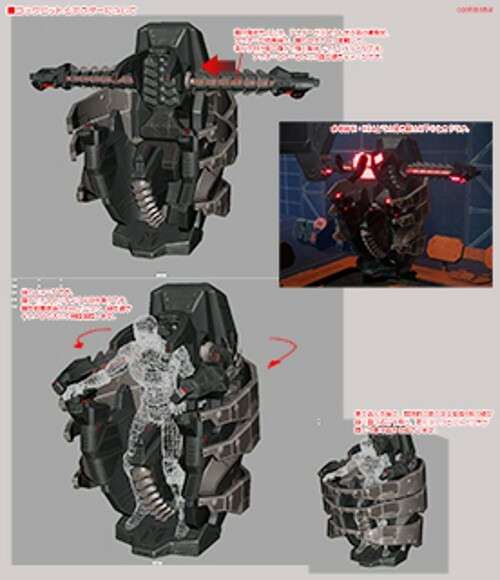 How is he approaching his designs this time around? 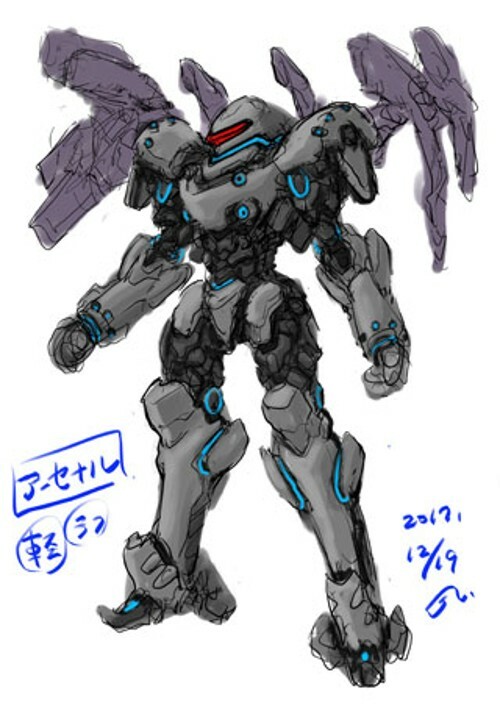 They’ve been designed with the concept that the player character – the Outer – would equip, or rather wear, the mechs. 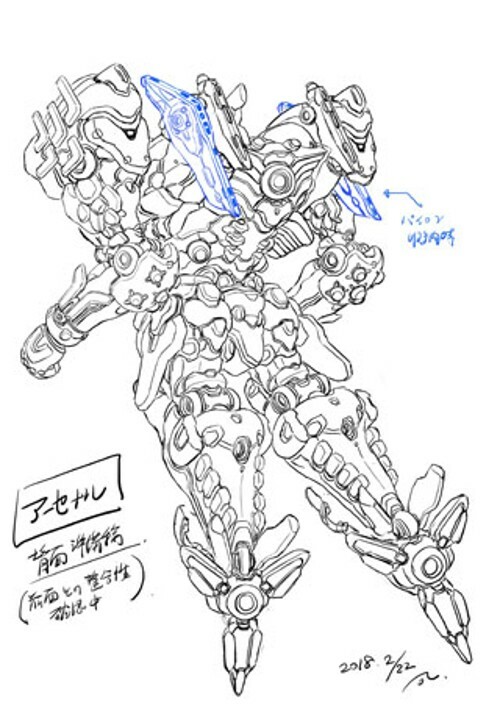 So while it’s still armour, by designing both more muscular looking parts and more armoured parts, Mr Kawamori could achieve a kind of “mech as a character” design that only he could pull off. 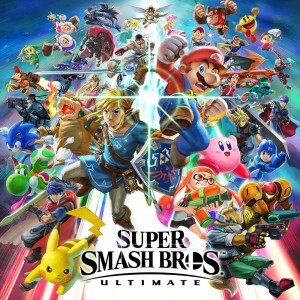 Speaking of visual design – the game has quite a unique visual identity when compared to other games in the genre. Could you talk about what led you to pursue this art style? 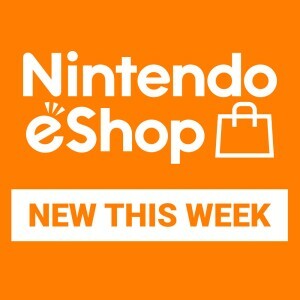 During Nintendo Treehouse: Live at E3 2018, I showed how Outers can get out of their Arsenal. 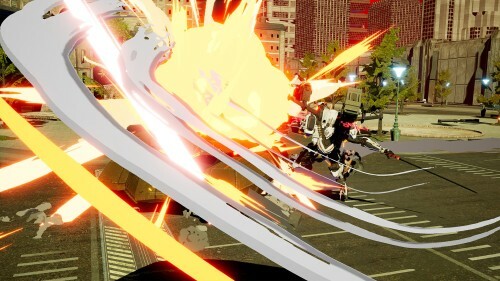 At gamescom 2018 I’m hoping to show what more you can do with that feature. 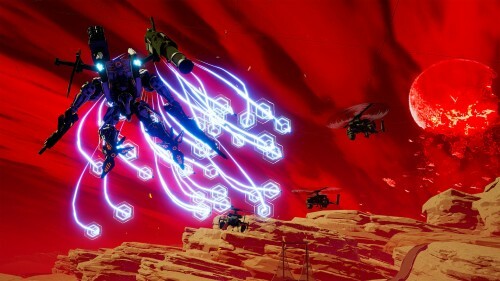 Also, I think it will be an opportunity to show some new aspects to the gameplay that we haven’t explained yet. I hope you're looking forward to it! 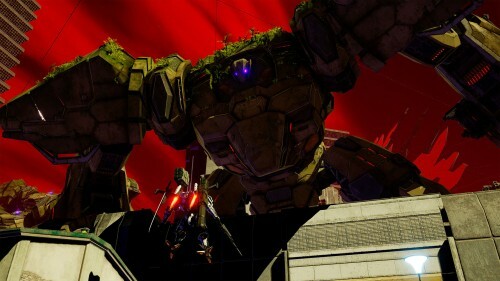 DAEMON X MACHINA will launch for Nintendo Switch in 2019. To learn more, visit the official website.